Manufacturer of a wide range of products which include sight glass valves, pp ball valves and pp foot valves. 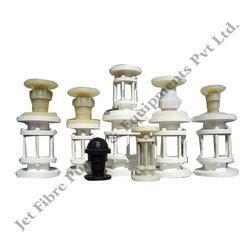 We present our clients with unmatched assortment of Sight Glass Valves. These are manufactured under the expert supervision of our personnel and using quality tested components. Our range is precision engineered and is at par with the required industry standards. 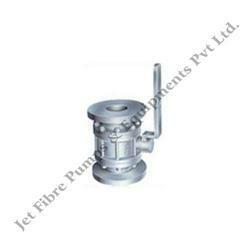 We also offer these valves in varied specifications as per the application needs of our clients. We are engaged in offering our clients with a qualitative range of PP Ball Valves. These are in accordance with the international quality standards and are manufactured using quality materials. Our range is also tested on various parameters to ensure its smooth functioning. These are also offered in specifications as desired by our esteemed clients. Thrust due to (fluid pressure spring) both on the upstream and downstream, pushes seat ring towards the ball for positive sealing under all conditions. When the valve is in closed position, the fluid trapped in the body cavity is subjected to thermal expansion and the valve cavity pressure increases. We have in our collection of products a qualitative assortment of PP Foot Valves. Manufactured using advanced production techniques and quality raw materials, these valves are at par with the international standards. 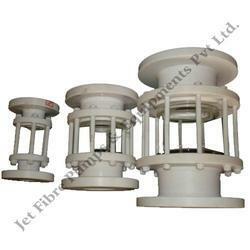 These are durable and sturdily constructed with excellent performance attributes. We also offer these valves to our clients in customized specifications to meet their industrial application needs. Looking for Ball Foot ?